Information about our upcoming events is provided below and on our events page. Please read more about our local chapter of the HLSA here. If you're interested in more information or would like to get us involved, please email us at info@losangeles.hlsa.org. HLSA of Los Angeles has joined with the Harvard Law School Alumni LinkedIn group, the fastest growing on only official and secure HLS Alumni group on LinkedIn. Keep up to date with the HLSA of Los Angeles and connect with other area alumni by liking our page on Facebook. Get concise news about our upcoming events by following us on Twitter. 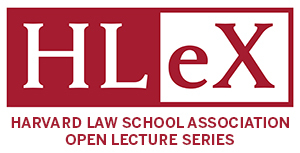 Did you miss one of the HLeX Open Lectures? Visit the archives to review any of the past presentations. HLeX is an alumni engagement program that provides HLS alumni around the globe with an opportunity to hear from HLS faculty with the convenience of being in your own office. Watch the archived recordings. Help us to build a better HLSA of Los Angeles. Let us know what you, as HLS Alumni living in Los Angeles would like to see from your local HLSA Chapter. Speaker events, networking reception, casual happy hours?